A majority of tumors are caused by mutations or inappropriate expression of master regulatory factors that can “reprogram” normal cells into cancerous tissue. Under the direction of Dr. Ari Melnick, Professor in the Division of Hematology and Medical Oncology, Weill Medical College of Cornell University, researchers are developing ways to identify these master regulatory proteins and to dissect out their molecular mechanisms of action. By combining sophisticated gene mapping tools that can track the location of these factors throughout the genome, together with advanced structural biology and biochemistry methods, Dr. Melnick’s team has discovered how several of these cancer causing factors work at the most basic level, by hijacking and taking control of thousands of different genes using a variety of biochemical mechanisms. These findings are leading directly to novel forms of treatments for patients with B-cell lymphomas, leukemias and other tumors. His team discovered that a master regulatory protein called BCL6 causes aberrant growth and survival of lymphoma cells through a specific ‘intermolecular bridge’. Using this information the Melnick lab generated a peptidomimetic drug called RIBPI that destroys this bridge, which restored lymphoma cells back to their normal programming. Dr. Melnick and colleagues used structure-based advanced computational modeling to design small molecule inhibitor drugs that work similarly to RIBPI. The BCL6 inhibitors are highly effective in killing lymphoma cells and were non-toxic to normal tissues. Dr. Melnick’s group discovered that the molecular chaperone Hsp90 plays a central role in diffuse large B-cell lymphomas and that a newly developed inhibitor of Hsp90 calledPUH71 has potent anti-lymphoma effects. Based on these data, the National Cancer Institute is supporting translation of PUH71 to clinical trials. In other research, Dr. Melnick and his colleagues recently established a technology platform for deciphering how genes are controlled in cancer cells. The technique combines biochemistry, mathematics and computational biology to capture at a holistic level the molecular instructions that control cancer cells and can even decode those epigenetic instructions that control gene expression independently of DNA sequence. Using this approach in large cohorts of patients with acute myeloid leukemia (AML), Dr. Melnick and colleagues were able to show for the first time that profound disruption of epigenetic gene regulation is a universal feature of tumors, identified new biologically and clinically distinct forms of AML, discovered a common epigenetic signature that underlies almost all AML (thus showing that epigenetic lesions occur more frequently and universally than genetic lesions), and identified a predictive DNA methylation-based biomarker for patient survival that outperforms the traditional currently available biomarkers. 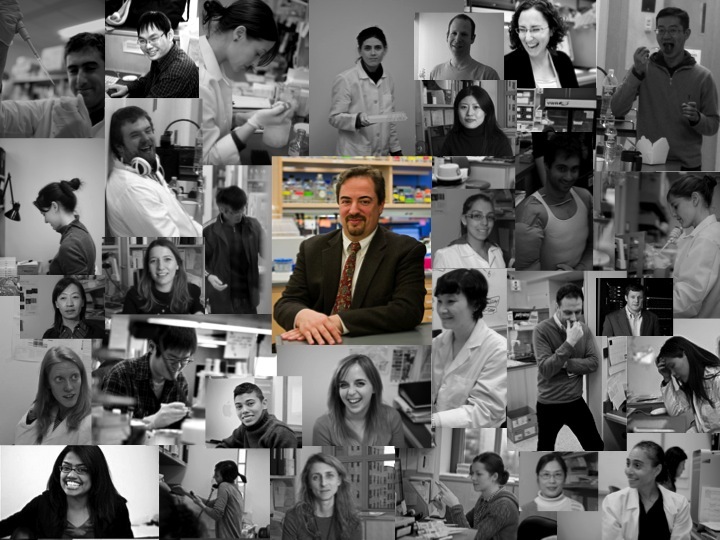 Learn more about Dr. Melnick’s research & lab.